A beautiful historic pub dating back to the 18th Century. 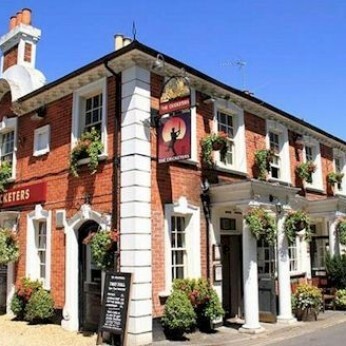 Welcome to The Cricketers; a beautiful historic pub dating back to the 18th Century. The pub is steeped in history and faces onto the village cricket green which houses the oldest, continuously played, cricket pitch and club in England. So, you can enjoy a meal and a drink watching cricket or for those who are not cricket fans, you can still come and enjoy the ambience..